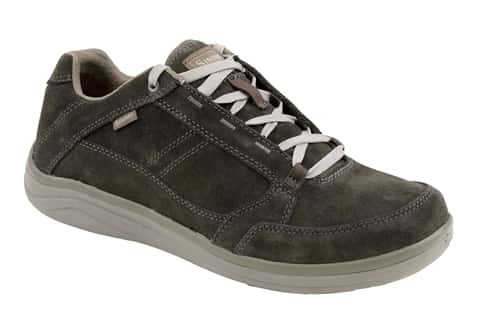 The Simms Leather Westshore Fly-Fishing Shoe is a Simms leather fly-fishing shoe that is very comfortable and stylish and is made with Suede leather that features an extremely durable DWR water-repellent finish that is an excellent aspect of this very innovative leather fly-fishing shoe by Simms. The Simms Leather Westshore Fly-Fishing Shoe is constructed with the same right angle footbed and comfort as the canvas Westshore fly-fishing shoe and is very comfortable to wear no matter what activity you may be doing which is really great. The Simms Leather Westshore Fly-Fishing Shoe is an excellent looking leather fly-fishing shoe, so make sure to check out this new Simms Leather Westshore Fly-Fishing Shoe now from the Platte River Fly Shop to wear during your next fly-fishing excursion.